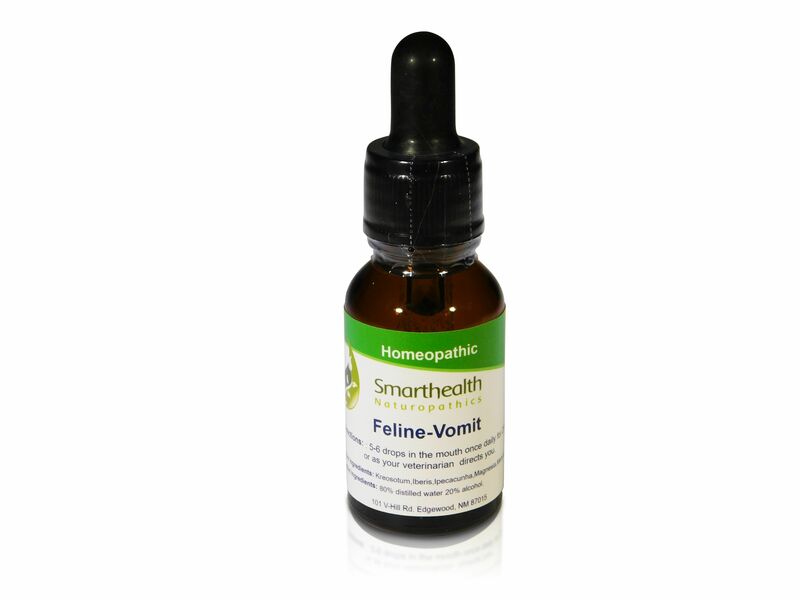 Feline Vomit Formula - Medicine | Oral Liquid Naturopathic/Homeopathic Medicatin/Treatment. Buy Feline,Cat, Pet medication From Our Online Store. May help reduce vomiting in cats that vomit to often. This formula was created for my mothers Norwegian Forrest cat, now 3 years old. He'd wondered onto her property after being dumped out of a car by his owner when he was about 6 weeks old. The little furry guy quickly became a permanent fixture in her home.When he turned one, she was worried he might run off if he wasn't neutered. My mom discovered that the local vet was offering free neutering for cats if they also got vaccinations. I said I didn't like the idea of getting him vaccinated but she did it for the free neutering. Soon after this BOO, BOO (her cat) started vomiting much more than usual and he started eating very small amounts of food, because anytime he would eat a normal sized meal he would vomit. Sometimes he would vomit 3 or 4 times a day occasionally we noticed him vomiting 8 to 10 times a week. I thought this was too much. We spoke to his veterinarian that checked him out, the vet seemed to think that it was normal for some types of cats at certain times of the year. I spoke to others I knew that owned alot of cats and they said they had cats that vomited multiple times a day too. I still felt the little guy was suffering from some kind of stomach problem and it took me about a week to come up with this formula. I gave it to him for one week ,it was working well but it didn't take so, I gave it for a full three weeks and the symptoms have completely gone! He now can eat all that he wants , most of the time double or triple what he ate before. If we see him vomit once a month, that's normal for him and it's always a big hair ball with very little liquid in it. So the advice was not true for my moms cat, and I'm glad I spent the time to make a formula because her cat was really suffering. I thought there might be others out there that may have the same problem and haven’t yet discovered what to do about it. This would be a real problem if you are renting a apartment and are responsible for the carpets or your just tired of cleaning up vomit! Inactive ingredients: 90% distilled water 10% grain alcohol. Active ingredients: Kreosotum, Iberis, Ipecacuanha, Magnessia Carb, Menyanthes. With the dropper give 5 drops directly into the cats mouth or add 5 drops to the cats water dish (12oz. of water) do this for 25 days. Q: Can the Feline Kidney drops be put in water bowl, instead of mouth? Should the 3 weeks of use be repeated periodically?